Customer loyalty lies at the heart of ING Direct’s latest efforts to target customers in their moment of need using a combination of sophisticated data analytics, insight and real-time communication. The banking group’s executive director of customer delivery, Lisa Claes, told CMO the business has shifted its focus onto rewarding existing customers as part of efforts to deepen relationships with them. One way it’s striving to achieve this is by generating targeted and contextually relevant offers across digital channels when customers engage with its products and services. These offers are being powered by IBM’s Interact tool (formerly Unica) and IBM Campaign. “When customers are happy with their relationship, they’re susceptible to targeted, meaningful and contextually relevant offers,” Claes said. To devise these offers, ING has created data-driven rules internally, shaped by the value of the customer and propensity modelling, knowledge of their digital interactions and footprint, and insights from several external data source such as CoreLogic RP data. Claes said ING already had data on its customers and devised rules for propensity modelling. Previously, however, teams would manually glue these together to generate offers by channel. The Interact tool has automated and scaled the process, opening up a wealth of opportunity for further engagement cross-channel, she said. “For example, we can look at transaction account holders with good payment behaviour, then set it up so when that customer is checking their balance, we give them a tap on the shoulder to say ‘hey, did you know if you got up to $1000 per month you get these rewards, or have you heard about our primary savings account’,” Claes explained. ING has been using the platform for outbound campaign management since July, and this week launched a limited trial of its mobile offering with select customers. This will see a line added with offers based on those propensity models that Claes said could also lead to pre-filled application forms in the near future. She noted 60 per cent of ING’s interactions are coming via mobile devices. There are also plans for this to become an inbound marketing tactic as well. In the past four months, offers-driven campaigns have increased from 40 per month to 200. ING Direct has also seen a 45 per cent year-on-year jump in Xbuy (cross-sell purchases), and the rate of direct mortgage applications leads have doubled on the Web channel. “The investment really pays for itself – yes it costs money, but having more products per customer, particularly things like mortgages and super, make this a good investment. There’s a strong business case,” Claes said. The work on next-best offers is just one element of a wider digital transformation strategy being undertaken at ING Direct. Claes is the executive sponsor of what ING calls the ‘DNA project’, which launched about a year ago and is “a good to great play around digital”, she said. The project sees ING replatforming several core digital assets, not only to enhance its shopfronts, but also to improve content management, outbound/inbound campaigns, and its personal financial management offering. The latter includes customer services such as creating a personalised wallet with ING, and providing insights into how much a customer might spend on consumable goods. The full targeted offers program is due for completion by Q1, 2016. Fuelling all of this is sophisticated data analytics. Claes agreed the wider shift to customer value is also a reflection of the changing nature of marketing. “Marketing today for me is about advocacy – it’s enlivening your customer base to do a lot of the marketing for you,” she said. “Nothing is more compelling than having a peer tell someone like me about their experience. During her presentation at this year’s IBM Customer Engagement Forum in Sydney this week, Claes discussed the wider disruption of loyalty as a result of customers having more choice and channels than ever, and how she believes loyalty should be tackled in the modern age. For ING, loyalty is positioned as an equation between the organisation and the customer. 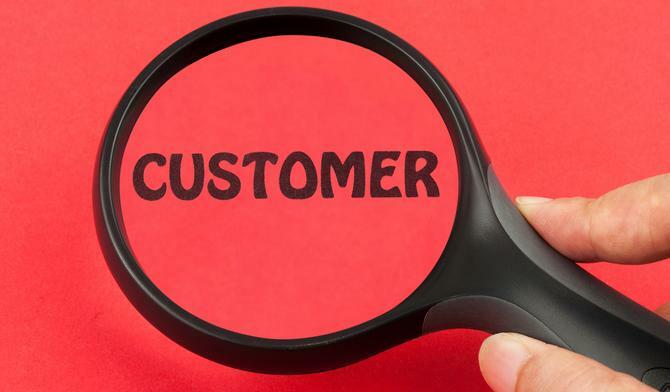 On the organisational side of the equation, loyalty requires strategy, customer segmentation, knowing the customer, value reciprocity and process ease, she explained. Around the customer, it’s about advocacy, tenure, price insensitivity, and X buy (cross-sell). ING’s strategy is to be the customer’s primary bank. This is defined specifically as servicing their core banking needs, maintaining one other financial services product and seeing regular contributions of at least $1000 per month. “When we realised we couldn’t be all things to all customers we realised some of our fundamentals of business were counter-intuitive to that strategy,” Claes continued. “For example, we’re very good at value on a product by product bases, not value across connected offerings. So we need to reward for bundling. The next element of building loyalty is knowing customers well. Claes pointed to research undertaken on ING’s behalf by Forethought Research which showed 29.8 per cent of customers choose the brand for rational reasons, while 70.2 per cent use feelings and emotional anchors to describe their relationship. For example, 21.8 per cent of customers used the term “pride” to describe ING, something that reflects the bank’s challenger brand status, Claes said. Loyalty is also about understanding what is important to these customers, and to do this, Claes highlighted meeting them in their “moments of truth”. Particularly important moments include initial contact and onboarding, and “using my money”. ING uses this lens to make decisions on where it invests into customer services and marketing, she said. For Claes, loyalty is ultimately about giving to get, another reason why it has created a raft of value-added services and rewards for customers that have a deeper relationship with the bank, over newly acquired customers. “Does it cost us money? Of course, but tenure, Xbuy, advocacy – the value is better in the long run,” she said. At the same time, brands must communicate the value and benefits they’ve providing in exchange for loyalty, and Claes noted ING’s EDM campaign articulating the monthly and annual value provided to its customers as its way of achieving this. These communications are opened at twice the rate of any other sent out, she said. Timing is everything and it’s important to show this value when customers are thinking about or engaging with your product, Claes said. This is where ING’s work with IBM Interact kicks in. As a final note, ING’s advertising efforts have also undergone a transformation to take more of a pull approach. One such example is the brand’s digital program asking customers to tell other people what they think of ING. Claes said it had generated three times the response expected and an average 4.5 out of 5 score for ING. This direct customer feedback is also being fed back into the customer engine to sharpen the ongoing proposition, she said. “But all of this can be largely irrelevant if your experience is full of friction,” Claes warned, adding that product complexity is often to blame for creating tension between a customer and brand. Thanks to all of these efforts, ING has seen core strategy target acquisition leap by 400 per cent, while cost to acquire is one-quarter of what it was, she added.